More than 3,000 religious objects were found in their homes. A MAN IN his 80s and a woman in her 60s have been arrested in France after thousands of stolen church artefacts were found in their homes. The man reportedly has anti-clerical views and the woman was recently baptised. Police confirmed that the pair were picked up after the detective work of a cleric in a Paris suburb correctly predicted when they would return to his church. More than 3,000 religious objects — including crosses, statues, candles and rosary beads — were recovered from the homes of the man and his neighbour in the southern suburb of Bagneux during a search late last week. “At the home of the octogenarian the toilets were absolutely full of crucifixes, there wasn’t so much as a square centimetre of space,” Ludovic Serre, a priest whose parish was among those targeted, said. He has now managed to recover some of the lost items. Serre spoke of the frequent disappearance of objects from his Notre-Dame-de-Lourdes church in Chaville since last November. “As soon as I put a cross out on the altar of confession, it would disappear,” he said, adding that when the crib was taken from the Christmas nativity display in December “it was too much and I filed a complaint”. Police said that other religious buildings had been targeted by the same criminals over several weeks, with everything from cheap candles to old Russian icons disappearing, with the total worth of the stolen items put at around €10,000. Serre, whose church is now protected by a video surveillance system, said the robbers appeared to have a quite precise method of operating, arriving “every four or five weeks, on Sundays between 4-4:30 pm”. “I told the police that, according to my calculations, they should return on 21 February. And they did. Although half an hour early,” he added. The investigators then followed the two suspects to their homes where they were quickly arrested. The police had expected that the church thieves would be youngsters, the priest said. “In fact they found an 80-year-old … a revolutionary who believes that church property should be taken away” and a woman in her sixties who “had recently been baptised”. The pair have been released pending trial. 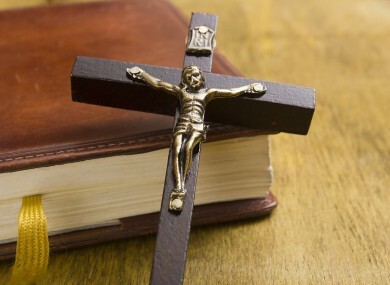 Email “'The toilets were absolutely full of crucifixes': Two elderly people arrested over theft of religious items”. Feedback on “'The toilets were absolutely full of crucifixes': Two elderly people arrested over theft of religious items”.